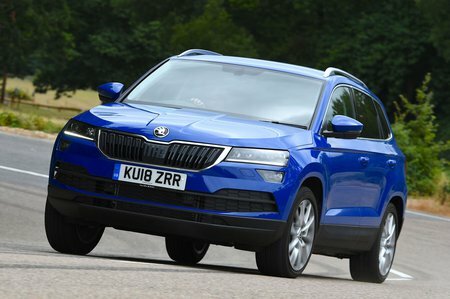 Skoda Karoq 1.6 TDI SE Technology 5dr 2019 Review | What Car? Designed with company users in mind, SE Technology adds extras including adaptive cruise control and front and rear parking sensors. It’s more flexible than the entry-level petrol, but still struggles with heavy loads – especially on the motorway. That said, it is the cheapest to run by a reasonable margin. Available as a manual or automatic.